SAN JOSE, Calif. (AP) — Apple introduced new controls for limiting how much time customers spend on their devices as the company tackles criticism that its devices are becoming increasingly addictive and distracting. The controls allow users to set "Do Not Disturb" modes on their phones, such as at night or during trips to the playground with their kids. During that time, app notifications will be blocked from showing up on the home screen. The phone's screen can also be set to dim automatically just before bedtime. Apple also will give users reports on how much time they spend on apps and what gets them to check them constantly. They can set time limits on specific apps — and set controls for kids. Last month, Google revealed plans to have Android phones go into "shush" mode when placed face down on a table and have the screen show only greyscale colors late at night. Both companies' efforts come as experts worry that all the flashy colors and beeps give users short-term, feel-good rewards while increasing stress in the long run. The new Apple features previewed Monday won't reach users for a few months. Rather, they were shown to let software developers start building apps to make iPhones and other Apple devices more useful. And that underscores a paradox: Apple is introducing features to limit iPhone use at the same time it's encouraging more use by building in more useful features. Apple is taking a swipe at ubiquitous "share" buttons created by Facebook and others to track your behavior online regardless of whether you click on them. The company says it's shutting down that tracking through its Safari browser in an update to Mac and iOS devices, including iPhones and iPads. Apple senior vice president Craig Federighi said such tracking would be blocked by default. Even if users click to share an item, they will get a prompt with an option to prevent subsequent tracking. 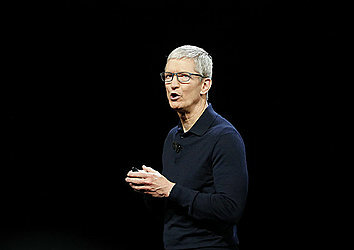 He also said Apple would crack down on so-called "fingerprinting," in which data companies identify specific devices by creating a unique fingerprint based on a device's particular configuration settings, installed fonts and plug-ins. Apple plans to instead send out generic data to such collectors, making a user's device look just like any other Apple device. Federighi said the changes will make it "dramatically more difficult for data companies to identify you and track you." Last year, Apple added "intelligent tracking prevention" that imposes time limits on tracking cookies and takes other measures to try to prevent advertising tech companies from following users around the web. 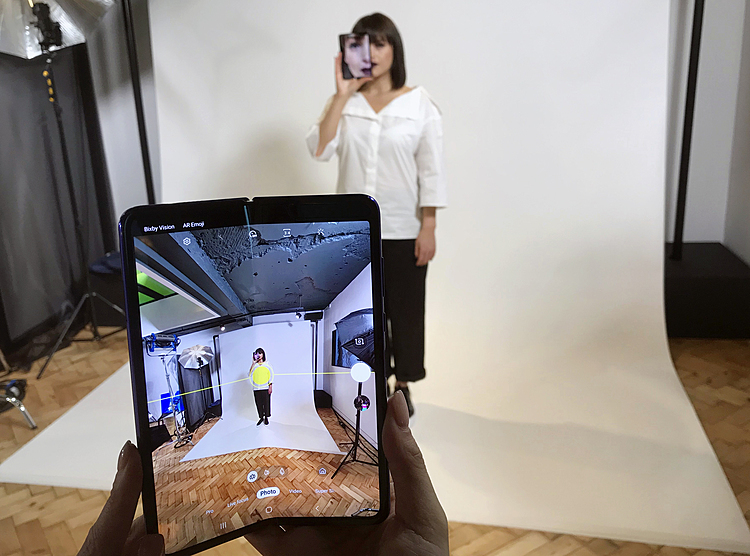 Apple rolled out new support for augmented reality applications as it unveiled a new format for digital objects that appear to live in the real world. The update comes as Apple tries to extend AR experiences to a broader population, rather than just hard-core, tech-savvy users. The company started that effort last year when it built AR tools into most iPhones and iPads; by contrast, Google had limited that to niche Android phone models. Digital objects created with the new format, called USDZ, will work in Apple's Safari browser, Messages and Mail apps, meaning AR isn't limited to stand-alone apps that people choose to download separately. The format will also get support in Adobe's Creative Cloud suite of apps for professional photographers, videographers and designers. What remains to be seen is whether there is enough of a compelling reason for someone to use AR, even if it's built-in to everyday apps. Apple also unveiled an app called "Measure" that measures boxes and other objects in the real world by pointing the camera at them. Apple is also offering tools to give multiple users a different view of the same digital objects viewed from different angles. Apple wants its digital assistant Siri to do more. Third-party apps will now be able to let users invoke Siri for commonly used tasks, much the way competing assistants from Google and Amazon long have. Before, Apple had limited third-party access to a handful of categories, such as messaging, while excluding competitors to Apple's Music service, for instance. The software update will also let people group similar tasks together into shortcuts that can be accessed by simple phrases like "heading home." Saying the phrase can be set to open Apple Maps to find the best route home and launching a radio app. Apple will encourage users to share photos with their friends by suggesting such opportunities in a new "for you" tab. When a friend receives photos from an event, Apple will then suggest that the friend reciprocate with photos from the same event. It's similar to how Google already encourages sharing through its own Photos app for both iPhones and Android devices. Apple says all sharing will be done privately, using encryption already built into its Messages app. Meanwhile, the company is enabling group video conferencing with up to 32 people through FaceTime.